Established in 1996, FOCUS is a lifestyle magazine delivered by Royal Mail to some of the most exclusive addresses in Surrey, Berkshire and South West London. Our investment in distributing by Royal Mail brings our advertisers’ brands and services into the hands and homes of potential customers. 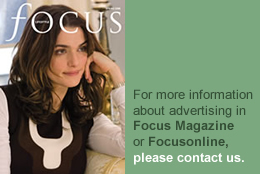 Our mailing list has been built and refined over many years and with unrivalled access to this precisely targeted AB1 readership in a distribution area including many Private Estates (eg St George’s Hill, Weybridge; Crown Estate, Oxshott; Wentworth Estate, Virginia Water), FOCUS delivers a readership not normally accessible to our advertisers. FOCUS has a reputation for quality and we commission editorial independently of advertising. Our contributors are well-known journalists who are authorities in their particular fields and consistently high standards have resulted in a strong editorial base upon which we have built a loyal readership. Our regular mix of features reflects the interests of our affluent target audience and regular topics include Property, Interior Design, Education, Health & Beauty, Art & Antiques and Food & Wine. This achievement is based on our financial investment in systems which ensure the advertiser’s message reaches our core target audience together with our reputation for attention to detail and providing an unrivalled level of service to our clients. By featuring in print and online, advertisers benefit from an ever-increasing level of exposure attracting a high level of potential customers.